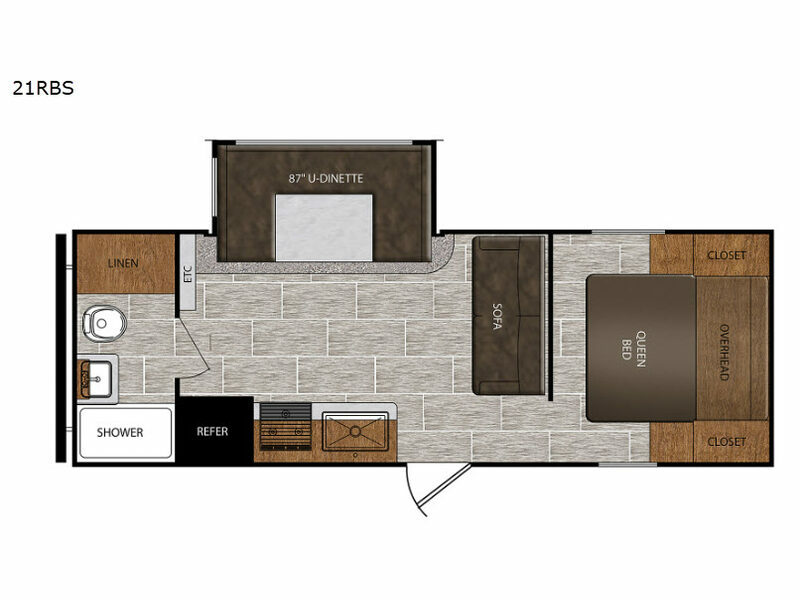 This Avenger ATI travel trailer by Prime Time RV provides a family of six with a queen-size bed in the semi-private bedroom, as well as additional furniture that folds down into extra sleeping space at night for everyone to have their own spot. The cook will enjoy the three-burner range to make snacks and meals to eat at the U-shaped dinette. There is also a full bathroom in the rear that includes a linen closet and a shower curtain on a curved track for more elbow room in the shower.